4Videosoft iPhone Ringtone Maker for Mac is one impressive yet easy to use iPhone, iPhone 3GS, iPhone 4, iPhone OS 3.0/3.1 Ringtone Maker for Mac users. 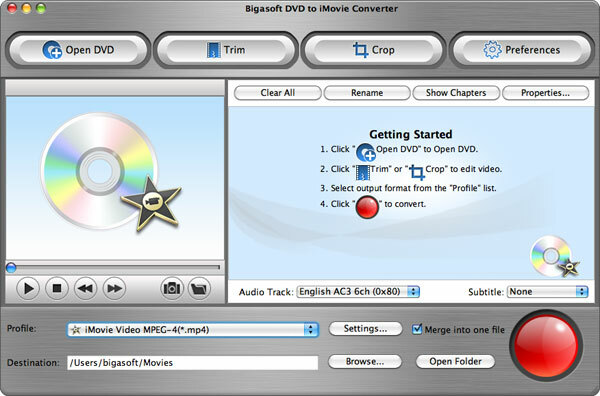 It provides the easiest way to convert AVI, MPEG, WMV, FLV, MKV, H.264/MPEG-4, DivX, XviD, MOV, RM, RMVB, MP4 to M4R iPhone Ringtone, along with the function to convert WAV, WMA, RA, M4A, AC3, and MP3 to M4R iPhone Ringtone. 4Videosoft iPhone Ringtone Maker for Mac is one impressive yet easy to use iPhone, iPhone 3G Ringtone Maker for Mac users. It provides the easiest way to convert AVI, MPEG, WMV, FLV, MKV, H.264/MPEG-4, DivX, XviD, MOV, RM, RMVB, MP4 to M4R iPhone Ringtone, along with the function to convert WAV, WMA, RA, M4A, AC3, and MP3 to M4R iPhone Ringtone. Moreover, this versatile Mac iPhone Ringtone Maker gives you a hand to convert any segment of your video/audio to M4R iPhone Ringtone by specifying the start time and end time or dragging the slide bar. Plus, you can pre-listen the Ringtone before the conversion. All the steps are just like a breeze. 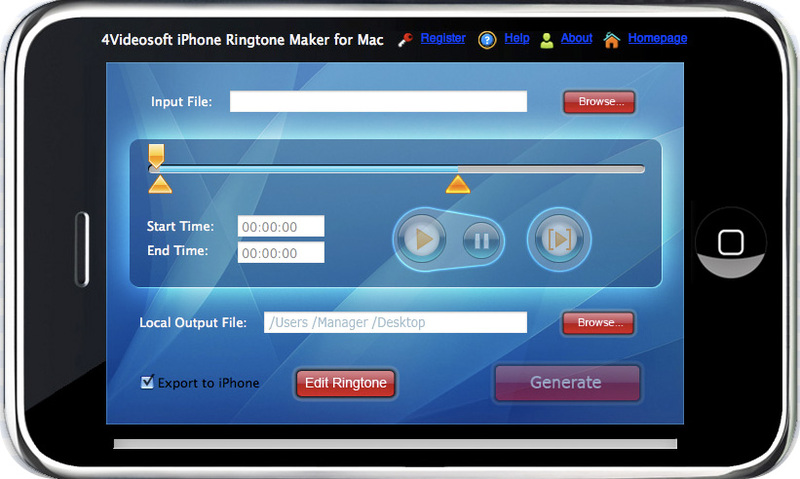 Free download this iPhone Ringtone Maker for Mac to enjoy your new iPhone experiences. 4Videosoft iPhone Ringtone Maker for Mac assists you convert your favorite music or video segment to Ringtone. 4Videosoft iPhone Ringtone Maker for Mac is really easy to use. The whole process of generation can be finished in only two clicks. 4Videosoft iPhone Ringtone Maker for Mac helps you convert 3GP, AVI, MKV, RM, MOV, XviD, MPEG, WMV, DivX, MP4, H.264/AVC, etc to iPhone M4R. 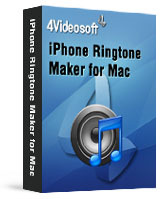 Using 4Videosoft iPhone Ringtone Maker for Mac, you are easy to make iPhone Ringtone from WMA, WAV, RA, M4A, MP3 files. Edit your iPhone Ringtone, including rename the ringtone, remove the ringtone from your iPhone which you added by using 4Videosoft iPhone Ringtone Maker for Mac.